Left-overs are the forgotten, despised sisters of delicious well-cooked meals. They have always carried a derogatory meaning. Almost as though cursed, no one ever wants them. No one desires the remains of what someone else has eaten (or what they themselves have eaten). Oh, how despicable. But have you ever filled the palms of your hands with soft left-over crumbs of bread from a breakfast meal? Have you ever had many guests at a party, only to be overwhelmed by what left-overs they throw in the thrash? Let me tell you something amazing: Jesus understood the power of hidden baskets of left-over fragments. See what he said after miraculously feeding five thousand men, women, & children with only five loaves of bread and two fish. In reading about the miracle that happened that day, I could not stop thinking about why Jesus felt it was necessary to gather up the left-over fragments. So that nothing is lost...(was what He said). So that no part of the miracle is lost. So that no part of the testimony is gone unacknowledged. In the midst of our testimonies, do we remember the spill-overs, or the remnants? We forget that God blesses us for one day, but it spills over to a thousand days after...so that nothing is lost. We forget that we're saved once, but it will last us for the rest of our lives unto eternity...so that nothing is lost. We forget that we're redeemed once, but we have enough grace to pour over to the rest of our lives...so that nothing is lost. There's power in the left-overs of our testimonies. Think deeply about the last testimony for which you gave thanks to God. Do you find that there's so much more to thank Him for? Do you see that your testimony can be divided into twelve baskets and you might still keep filling up more baskets? In God's gifts, He never gives just one testimony...He ensures that as long as you remain in His embrace, your testimonies keep spilling into multiple baskets...and even the left-overs carry so much weight. So that nothing is lost. That's because a loving Father is not satisfied with giving His child just one blessing. There's always something more. There will always be the remnants of an indescribable grace. 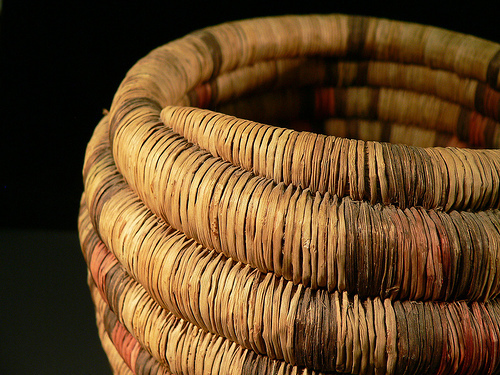 That's the power of baskets of left-over fragments, that our mouths will be continually filled with praises. To me, left-overs are no longer a curse.